Tom O’Kane knows a thing or two about using land for community growing. 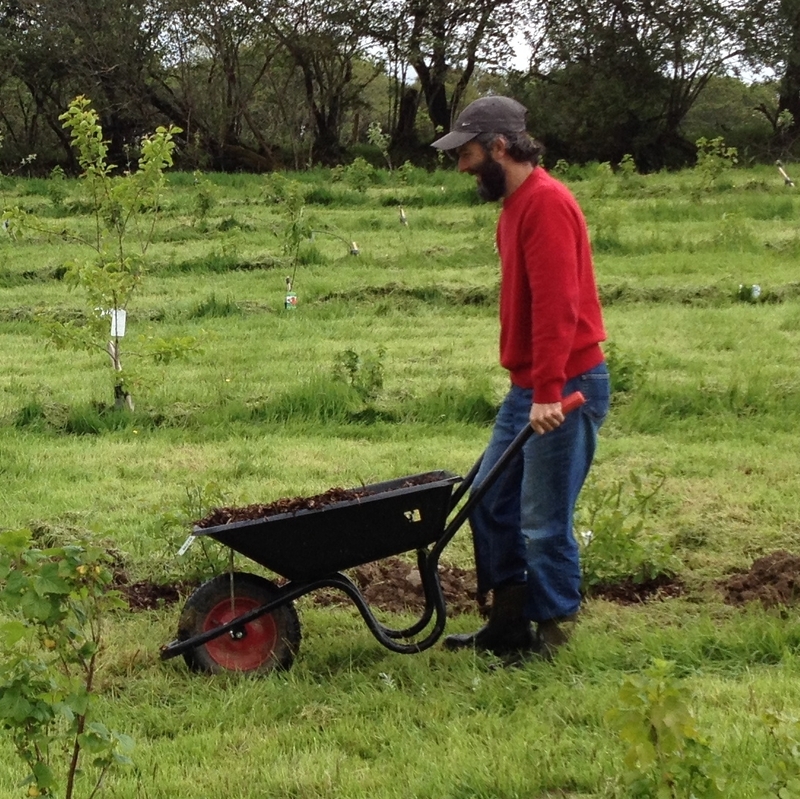 A biodynamic horticulturalist with a postgraduate degree in organic farming, his latest project is Cae Tân, a community supported agriculture (CSA) project near Ilston, within the Gower Area of Outstanding Natural Beauty. The site was unfenced and unused for 30 years, but has become a thriving hub of community activity including a shared sheep flock, fruit share scheme and a major programme of tree planting. But even an experienced hand like Tom can be left frustrated by the hurdles that face an increasing number of community growers in Wales, particularly around issues such as planning and leases. That’s why he turned to help from the Community Land Advisory Service in Wales (CLAS Cymru), funded by National Lottery Community Fund. “I came across the land as I was asked to advise the group who manage it on what they could do with the site. They then suggested I come and set up my project there in conjunction with them. “We are incredibly fortunate that the landowner and Gower Power Co-op saw that we were just what they needed to help in their own development at this stage, so we have been offered a cheap long term lease. Our activity – and the promotion of our activity – will raise the profile of other potential activities such as the community solar projects on this site and new potential growing projects and solar sites. Food growing plans are a vital part of the CSA’s development, so getting approval for a polytunnel has been important: “We talked to CLAS Cymru and they organized a meeting with the planners. This was a good opportunity to reaffirm that we were an existing business with clear aims to expand into horticulture. Generally it is very hard to meet or speak to a planner, so working with CLAS really helped in this case. “From previous experiences I have no patience for the planning system. However, in this case, CLAS stepped in to help at a point when I would have just put up a tunnel and dealt with the consequences later. Raising the profile of community growing with landowners.